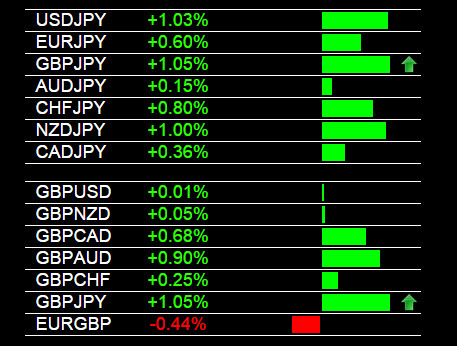 Today in forex trading the USD/JPY signaled a buy on The Forex Heatmap®. 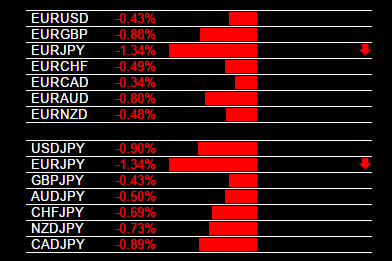 The Japanese Yen (JPY) was weak on all pairs, this drove substantial price movement across the board on all JPY pairs. These movements started early in the main session and continued throughout all of the main trading session. 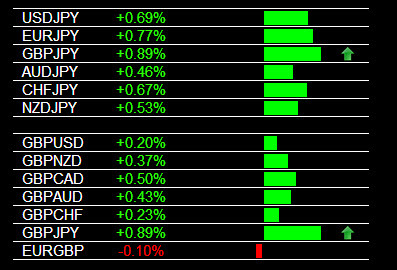 All of the JPY exotic pairs are hitting some resistance levels so we would be scaling out lots and taking some profits. 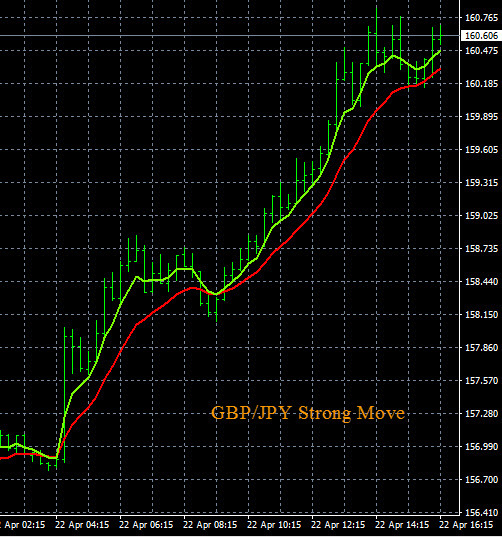 The USD/JPY has broken several levels of resistance and could continue much higher in it’s current uptrend. 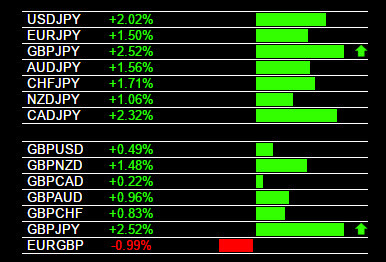 The trading signals you see below are from The Forex Heatmap®. The heatmap uses a live data feed to produce real time buy and sell signals for 28 pairs. 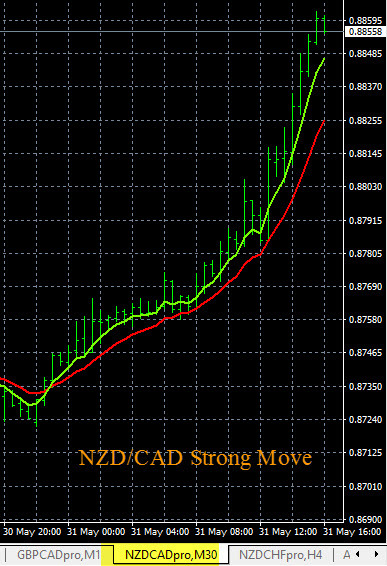 It has a simple design that can be use by any forex trader, even novices, for profitable trade entries.